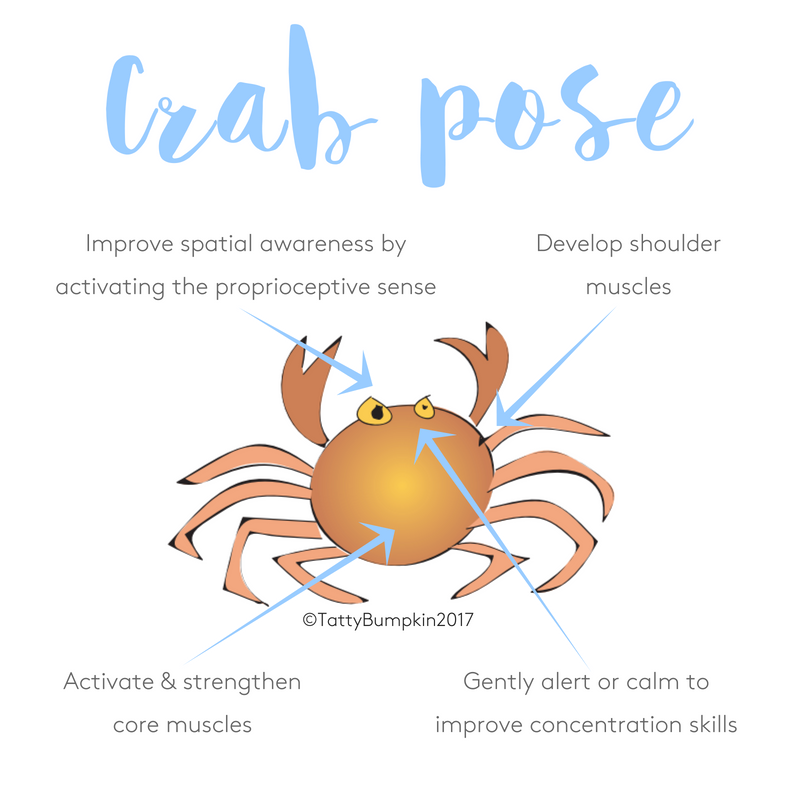 Crab pose is a classic activity often used by paediatric physiotherapists and occupational therapists because it has so many movement and sensory benefits for children. Find a non-slip mat or an area of carpet where you can do crab pose with your child. Make sure you both have enough room around you to avoid bumps and knocks. Take off your socks and shoes. It is far better to do crab pose with bare feet. With bare feet your child will slip less and will be able to do the pose accurately. Interestingly we rely on sensory information passed up through the soles of feet to balance. 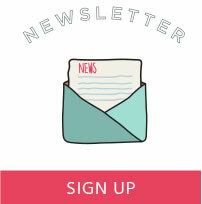 Start by sitting alongside your child, with your knees bent and your feet flat on the floor. Encourage them to copy you. Then show your child how they can place their hands on the floor behind them and then lean back onto their hands to wave their feet in the air. Once your child has the idea of taking weight through their arms, encourage them to lean back on their hands again. 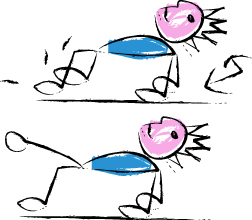 This time show them how they can push up through their feet to lift their bottom and hips off the floor. 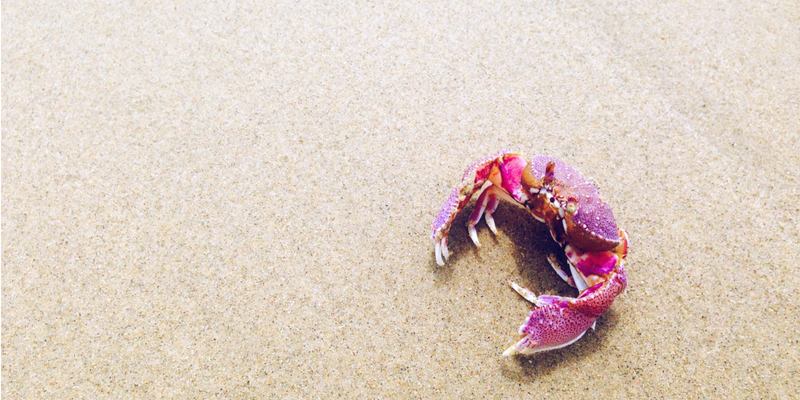 1, 2, 3, push up to crab! Now you should both be balancing only on your hands and feet, with your body flat like a table in crab pose. When your child does crab pose they will be activating their shoulder, back, tummy and hip muscles i.e. the muscles around their middle or ‘core’. Crab pose is excellent for strengthening your child’s ‘gluteal’ muscles – around their hips. Strong, active gluteal muscles improve balance skills for sport and may even help to prevent a ‘knock kneed’ standing and walking position in later life. Active shoulder muscles help your child to control their arm for writing. Strong, active shoulder muscles support your child, enabling them to control the weight of their arm for writing. Activities like crab pose help to make your child more aware of their body position by stimulating their proprioceptive sense. 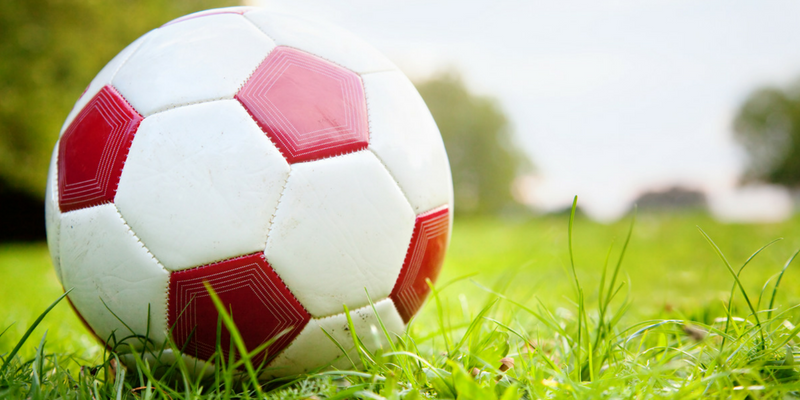 This ‘spatial awareness’ is important for co-ordinated movements such as running, jumping over obstacles or throwing and kicking a ball. In crab pose your child will be working their muscles hard against gravity as they lift their own body weight up off their floor using just their hands and feet. Interestingly, these ‘work hard’ activities can help reduce hyperactivity in some children whilst helping other children, who may appear tired & floppy at first, become more alert and engaged. 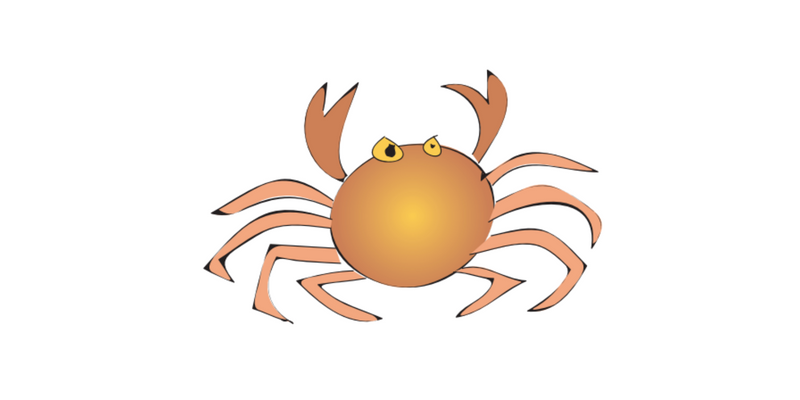 In crab pose encourage your child to try walking like a crab, forwards, backwards, even sideways. You might even play crab football with your friends using a foam ball or balloon. If your child is younger, they will find it easier to do crab pose by balancing on their shoulders, rather than their hands. Guide your child to lie on the mat or carpet with their knees bent and their feet flat on the floor. Then encourage them to lift just their bottom off the floor. You may need to help your child to bend their knees and position their feet flat on the floor so they get the idea of pushing up through their feet to lift their bottom off the floor. To make this activity fun, pass toys underneath! Whilst they are playing with the suggested props supervise your child closely and NEVER leave them unattended, or with another child.